There are three characters to choose from along with a few cosmetic customization options. The three options are: the Specialist, the Merc, and the Brawler. The Specialist is a character that uses close-range firearms. She can also deal damage to enemies or heal her friends with serums. The Merc (pictured above) is long-range and uses automatic weapons along with grenades. He also has a few movement based skills like a roll forward. The Brawler, as his name implies, is the Dead Rivals character that deals pure melee damage. He is an up-and-close fighter with skills that close the gap between him and his enemies. Each character comes with a variety of cosmetic customization options. If you're not a fan of any of the default clothing, fret not as there is plenty available for the fashion conscious to buy once they spend some time with the game. 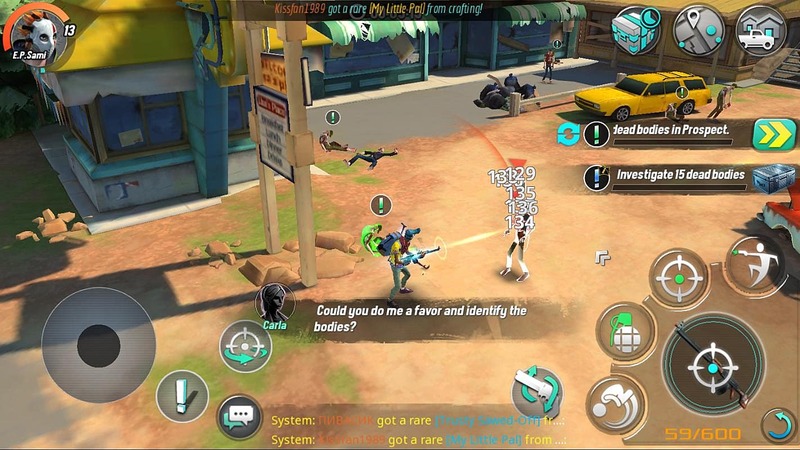 Like any MMO, there are multiple servers in Dead Rivals. You can have one character per server with more than enough servers to allow you to try each. Give them all a shot and find out which you like most! I prefer the Merc. The controls in Dead Rivals are pretty straight forward despite there being a lot of buttons. On the left, you have your touch d-pad for movement along with action buttons for interacting with quest objects, NPCs, and moving your camera. 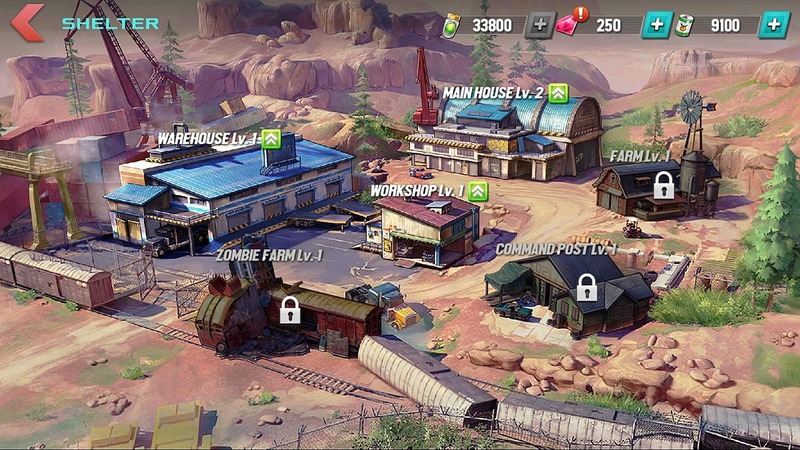 On the right hand side, you have buttons for crates, the map, and returning to the shelter (if on a quest) at the top of the screen. Below that, you have question information and the button for autoplaying. Lastly, on the bottom right, you have the combat buttons. You have four skill buttons that unlock as you level up. The first one unlocks at level 2, the second at level 7, and the last one at level 13. The skills you get depend on the character you're playing. Merc, the character featured above, has a grenade ability that does AoE damage, a rapid fire ability that gives you bonus damage and auto-fires your weapon, and a jump shot that allows you to do damage while gaining distance from your foes. There are a few other skills you can unlock for each character by opening chests that you get from playing. 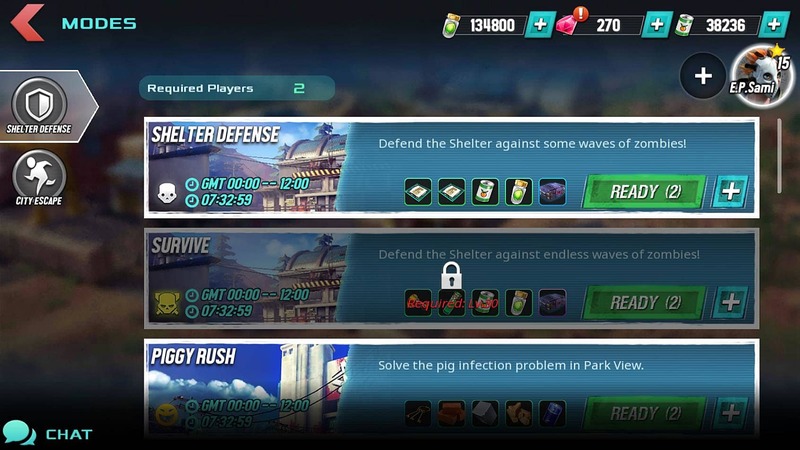 At level 13, when you unlock your last active skill in Dead Rivals, you will also unlock passive skills. Passive skills modify your attributes. Each passive skill has a cost and you can only set as many as your cost limit allows. As you level up, your cost limit increases and you will be able to have more boosts to your attributes. Just like any RPG, there's attributes for your character that determine your effectiveness in various capacities and increase as you progress through the game via weapons, armor, and passive skills. 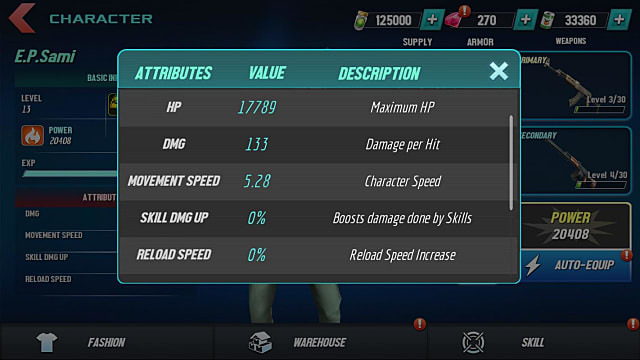 When you hit level 15, you're able to revamp some of your equipment to reassign the attribute boosts, so, you'll have some flexibility in making sure you get the right stats for your character role. Warehouse - Your storage. 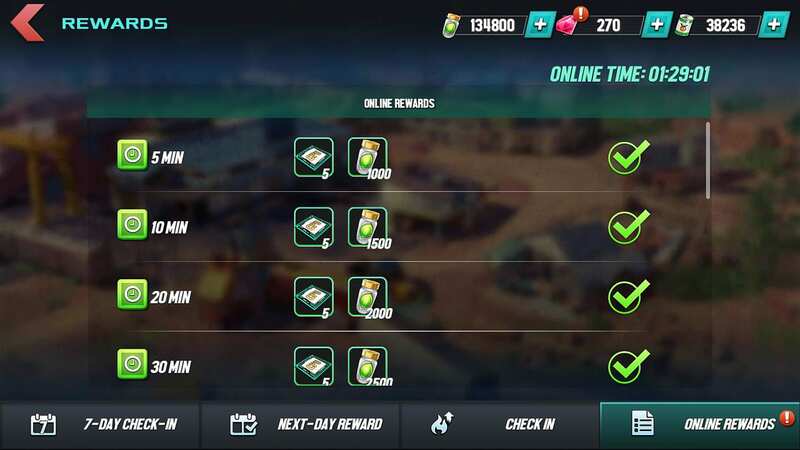 Leveling it increases the amount you can store. Workshop - Once unlocked, allows you to craft weapons, armor, and consumables. Leveling up this building improves your craftables. Farm - Grows food which you can use as a resource. Leveling it up increases the amount of food you farm. Command Post - This is where you will be able to assign followers to do tasks when you unlock them. 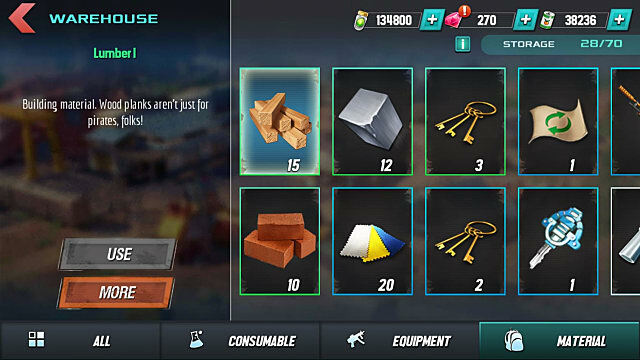 In order to upgrade your shelter buildings, you will need to have lumber, bricks, rebar, and food. You will acquire these by completing quests, opening chests, farming, or collecting rewards. There are a number of ways to play Dead Rivals. You have your main story quests that help you progress through the plot of the game. They also enable you to unlock features of the game like the workshop or farm. Event quests are what you can do in areas where you've already completed the story quests. They're quests where you need to kill x amount of y enemy or fetch a specific item. 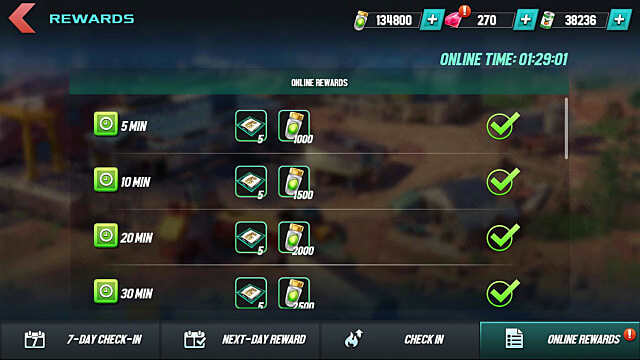 This is how you'll level in between main quests. It also gives you resources like food and seeds. Modes are special game types that you team up with other Dead Rivals players for to complete. Finishing them gets you things like upgrade kits for increasing your weapon and armor levels, seeds, food, and chests that will help you unlock other items. Shelter defense requires two players and involves defending against a zombie invasion. City Escape involves four players leaving an area together before they get overwhelmed; it unlocks at level 18. Lumber, rebar, bricks - For building up your shelter buildings. Armor scraps - Main component for building armor. Metal - Main component for building weapons. Your warehouse holds all of your resources along with your equipment and consumables. 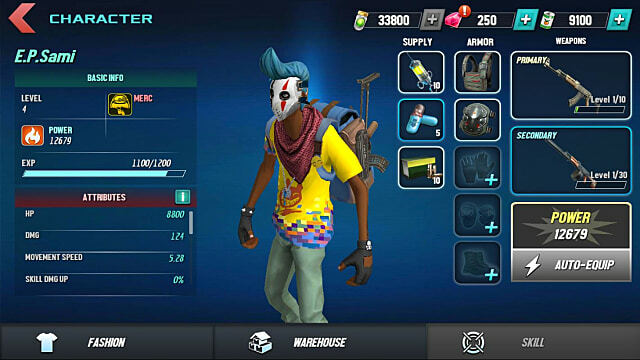 Your equipment in Dead Rivals is the weapons you use and the armor you wear. Your consumables are things like healing items, revives, and ammo. One of the most convenient things about Dead Rivals design is its to do list. This list, like its name implies, lets players know what they should be doing. It also gives them chests to unlock for checking items off of the list. 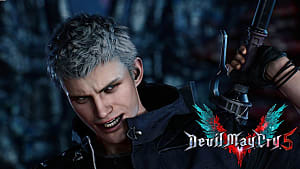 The list includes things like crafting weapons or armor, upgrading cards, finishing a shelter defense mode mission, or completing main quests. That does it for this Dead Rivals beginner's guide. Stay tuned for more detailed information and in-depth guides. If there is any specific area of the game that you would like advice in, let us know in the comments! 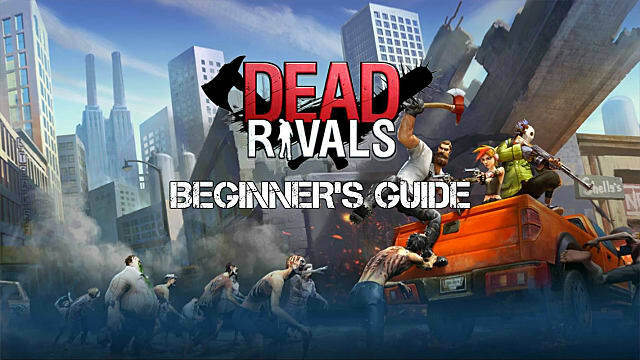 Dead Rivals Beginner's Guide: Prepare for Zombies!